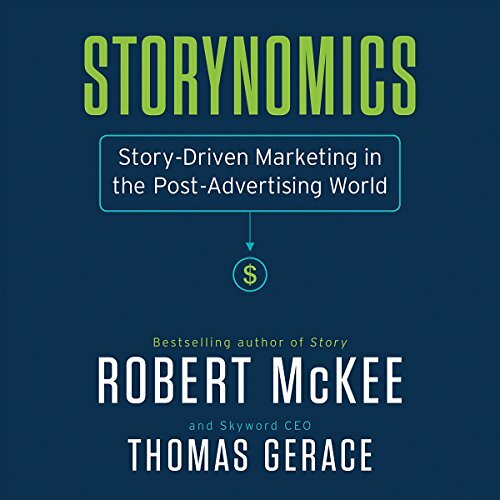 Based on the hottest, most in-demand seminar offered by the legendary story master Robert McKee - Storynomics translates the lessons of storytelling in business into economic and leadership success. Great resource for personal and professional business development. It accomplished the stated goal of teaching you how to write a story. The narration was awesome, and the examples provided a greater depth of understanding. This is not only a must read but it is a must re-read. There was a good story around setting up the story. There were a few key points to highlight and share. I would have liked if it had a more structured or classroom approach. I listened to it, maybe if I read it, I would have felt the classroom affect. The first part of the book covers the details about writing a good story, the second part tells you how to apply it to marketing. Brilliant and easy to follow. I loved this book and found it to be more ad and social media focused than I'd expected but it talks about building and maintaining brand presence in a world where people skip over the commercials. This was really a good read! I took more notes while listening to this book then I ever have before. I am a regular listener to non-fiction and business based books, and I’ve heard a lot of bad ones. This is most certainly not one of them. Enjoy the learning experience of this book, but keep a notepad and pen handy. You just may learn more than you are able to remember in one sitting! Gives you a marketing perspective through telling a story to captivate your target audience. very thought provoking.